Shop Fox is Woodstock International’s most famous machinery line – the products from this range are among the most renowned metalworking and woodworking devices in the U.S. The brand has earned its reputation for excellent construction quality and high performance, which are precisely the things most handymen are looking for. For that matter, we’ve decided to take a closer look at one of the most popular power tools from this line. Its name is Shop Fox W1848, and it’s an oscillating floor drill press that combines a number of handy features with a reasonable price. Is this the power tool you were looking for? We’ll attempt to answer that question by going over the unit’s design and power. Our reviews are straightforward and unbiased – keep reading and you’ll find everything you need to know about this floor drill press. Featuring pretty solid construction, this floor press drill offers reliable operation and dependable performance. Its powerful 3/4 HP motor features variable speed, and as such can be used in 12 different settings between 250 and 3,050 RPM. The machine has the overall height of 63″ and a large (12-3/8″ dia.) table that can be tilted 90° to both right and left. But the thing that makes this drill stand out from the competition is its sanding capability. With just a couple of tool-free steps, one can convert this drill from drilling to sanding operations and enjoy a smooth finish when sanding. Weighing 122 pounds and having the dimensions of 24″ x 15″ x 63″, this floor-mounted drill press has a pretty solid and reliable construction. It’s a lot larger than the company’s W1667 and W1668 models and as such offers more power and versatility. It has been built from rugged parts and looks very durable, so you won’t have to worry about mechanical damage during the more extended drilling/sanding operations. The best thing about its design is the table. The model features a 90° tilting table whose position and height you can adjust to accommodate the wooden plank or a sheet of metal. The great thing is that the table can be moved when you want to use the unit’s base for sanding and drilling. Due to the model’s sanding capability, there are also a couple of dust ports. These are very easy to clean, and that’s always a big plus in our book. As we said, the Shop Fox W1848 is powered by a 3/4 HP engine with a maximum speed of 3,050 RPM. The fact that this is a variable speed motor provides the user with flexibility during work – being able to select one of 12 different speed settings (250 – 3,050 RPM) greatly contributes to the model’s overall versatility. The unit’s oscillating feature, on the other hand, allows sanding operation and turns the W1848 into a real multi-tool. It can be easily converted into a sander and then used for contour sanding. The model’s sanding drums work just as advertised and leave the user with results that are, in our opinion, more than satisfactory. Just like the other press drills from the Shop Fox line, the W1848 has also managed to impress us with its construction quality. The fact that it’s much larger and heavier than W1667 and W1668 makes this drill very stable, so it’s a real joy to work on it. We have only words of praise for the unit’s table – it’s large and can be adjusted to several different positions and will surely accommodate every workpiece in the best possible way. The drill’s 3/4 HP engine makes short work of all kinds of materials and allows the user to use it in 12 different speed settings. This is the kind of flexibility that we consider necessary on these types of power tools – the W1848 definitely ticks the box. The fact that it can be used for sanding is yet another bonus and something that just might turn this machine into a centerpiece of your workshop. This floor drill press has no laser alignment system, which is not a big issue, although we would have certainly liked to see it included. It’s something that provides additional accuracy and can be found on much cheaper models than W1848. Furthermore, we didn’t like that the unit comes with vague instructions. Those who never assembled this type of a power tool before (or simply aren’t mechanically inclined) will find the whole process of assembly quite challenging. There’s no inventory list and the parts are not labeled. The users are calling Shop Fox W1848 “a great deal for the money“, as it provides them with enough power and versatility for them to use it on a daily basis. This combination of a drill and a sander is very appealing to the users, who praise the unit’s ability to assist them with a plethora of DIY jobs. They are especially pleased with the unit’s table, saying that its adjustability allows them to drill holes in workpieces of all kinds and shapes. The fact that this powerful drill can carry out both the drilling and sanding operations is its best feature. 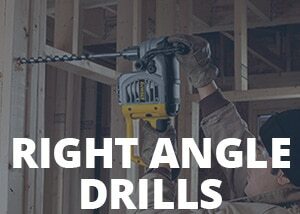 It is precisely this kind of versatility that many handymen are looking for – they want their press drill to be capable of assisting them with more than just one task. The Shop Fox W1848 definitely ticks that box, but also brings excellent construction quality, an adjustable table, and 12 different speed settings. As such, it deserves our recommendation – it’s one of the best floor-mounted press drills currently on the market.